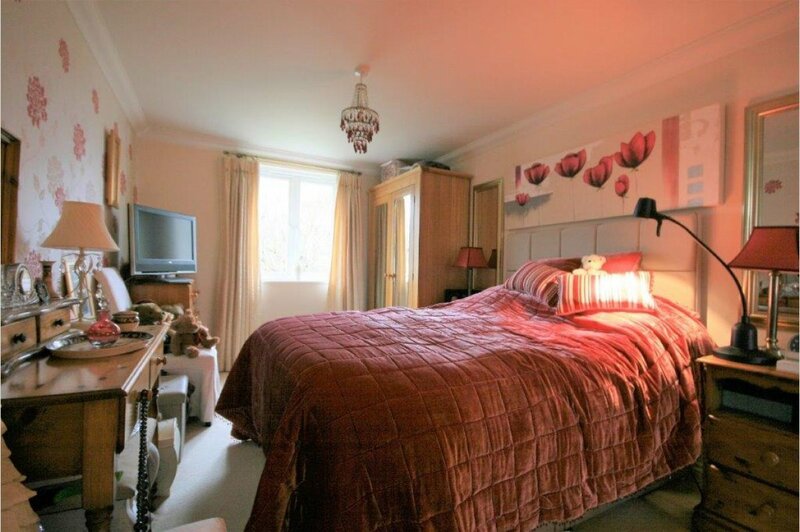 Two double bedroom first floor retirement apartment, in an exclusive development for the over 60s. Lilliput Village is located approximately half a mile from the award winning beaches at Sandbanks and is home to Salterns Marina and a variety of shops, including a Tesco Express and Co-operative petrol station, a Patisserie, Thai restaurant and take away, florists, off licence, surf and bike shops. There is also a doctor�s surgery and chemist. Lilliput offers good communications to the town centres of Poole and Bournemouth. Transport communications are excellent as the main line railway station at Poole provides services to Southampton and London. Bournemouth International Airport and Southampton Airport are also close by and there is a ferry terminus at Poole opposite the Quay with a daily service to Cherbourg in France and the Condor Sea Cat to the Channel Islands. A beautifully presented two double bedroom first floor apartment forms part of this exclusive retirement development for the over 60's. Churchill Lodge is conveniently located in the heart of Lilliput, set within well maintained communal grounds, incorporating resident and guest parking. There is an on-site Lodge Manager available Monday-Friday 9am-5pm, and each apartment benefits from a 24 hour care-line. The Lodge facilities include a large owners lounge for socialising, with an adjoining kitchen and double guest room with en-suite facility, available to book for visiting guests of the residents. 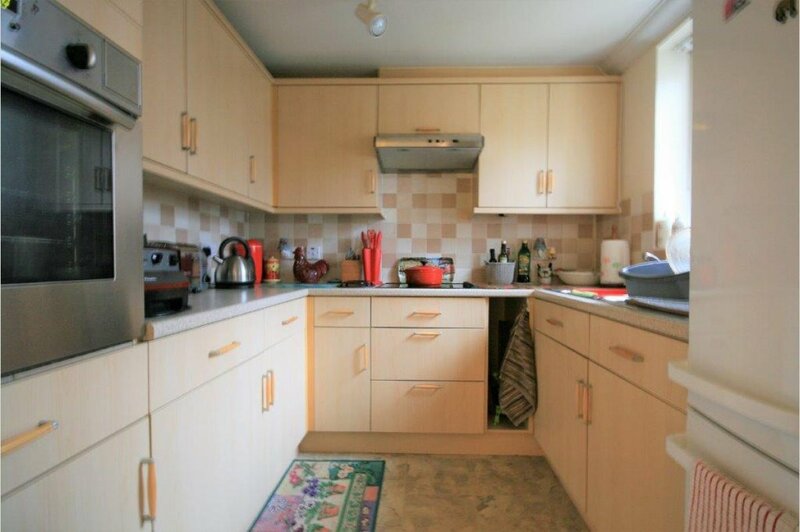 The apartment is approached via a lift from a well maintained communal hallway and landing. The private entrance door leads to a spacious hallway, with two useful built in storage cupboards and an airing cupboard. A particular feature of this apartment is the spacious lounge/dining room with feature electric fireplace, and double opening doors to a Juliet balcony overlooking the beautiful gardens. From the lounge/dining area there is a door leading to a modern fitted kitchen with an array of built in wall and base units with work surface over, integrated appliances include built in oven, hob, extractor fan and space for tall fridge/freezer. 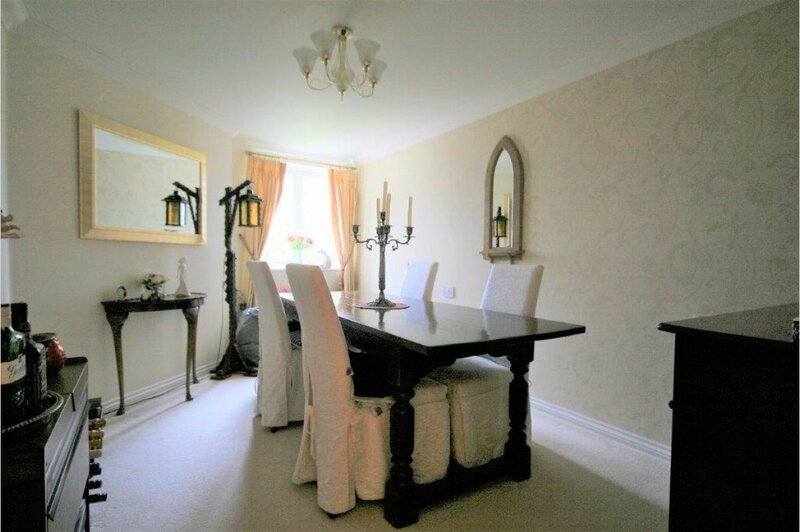 There are two double bedrooms, one of which offers a built in double wardrobe with sliding mirrored doors, the other is currently being used as a dining room. 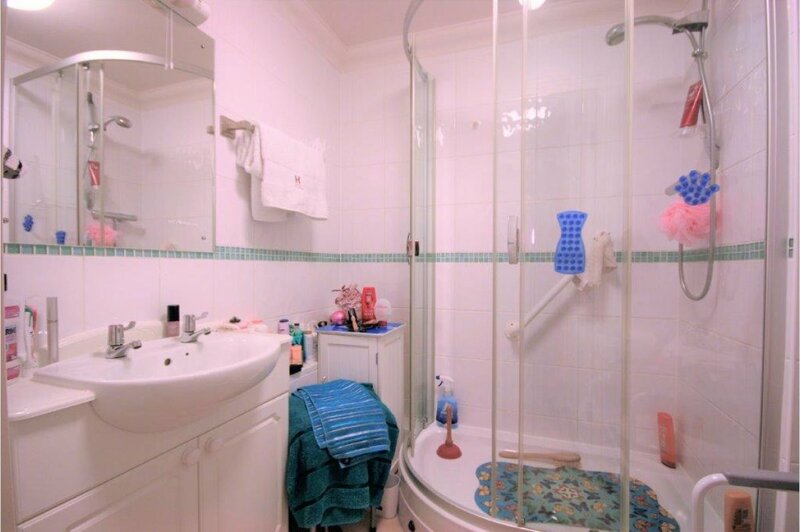 Delightful bathroom offers a full white suite comprising large shower cubicle with mains shower over, wall mounted wash hand basin with vanity storage under, towel rail, extractor fan and WC.